This was Judit's first Olympiad, she was only twelve and still playing with the ladies team. She made an astonishing performance of 12.5 points of 13 games on board 2. Besides the team gold, of course, she could take home individual gold medals as well. 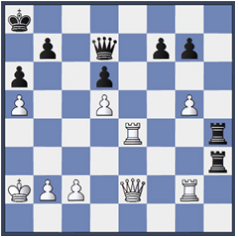 This combo is one of my favorites especially when I teach about the back rank and weakness of black squares around the king. This tournament was special for the fact that we played close to where the famous Fischer- Spassky match was played in 1972. Not to mention, seeing the geysers! This is another great example of the back rank problem, as well as a demonstration of playing the whole board on the open files and ranks with the rooks. After this beautiful queen sacrifice, white resigned. After capturing the queen with 34.Rxa4, Rxa4+ forces the king to the back rank 35.Kb1 Rh1+ white can pull the rook and queen back, but after taking both it's checkmate. The White king is far from being happy out on h4, but i's Judit's turn! 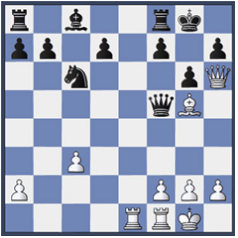 The following combination was totally missed by one of the strongest GMs of Denmark. It's a great illustration of the strength of double rooks on the seventh rank. 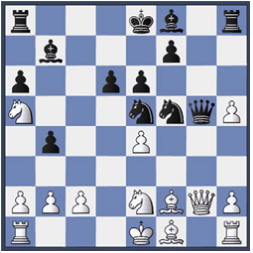 33.Qg7+! 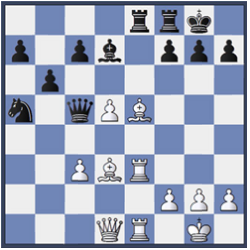 1–0 realizing the power of this queen sac, black resigned. 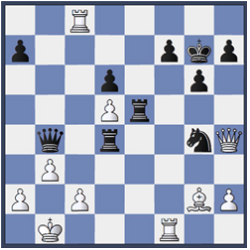 33... Kxg7 34.Rfxf7+ (Going forward would lead to immidiate mate: 34...Kh6 35.Rh7#) Kg8 35.Rg7+ Kh8 36.Rh7+ Kg8 37.Rbg7# The bishop is taking away the escape route from the king. Checkmate! Some of the strongest chess tournaments are organized in Spain. Judit has some great memories from these events. 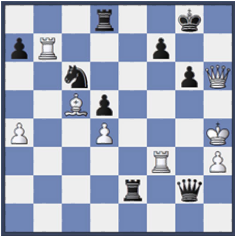 Taking second place behind Karpov in this category 14 competition was surely one of them. The Netherlands is a great country for chess; they host some of strongest tournaments as well as very interesting events. One of them is this yearly event: a competition between an ex-world champion, the best junior, strongest female and number one Dutch player. Judit won this event 3 times so far. Some of the best players participated in a special Sicilian Theme tournament in Argentina. It's probably the wildest openings of them all. This combo is proof of it!